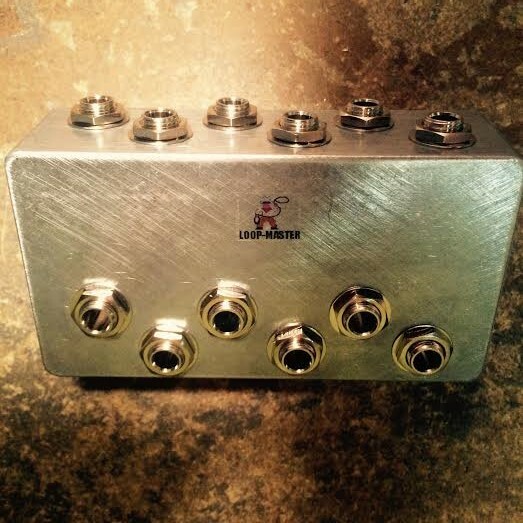 Connect your guitar to "Input" on the loop-Master, connect amp A to "A" on the loop-Master and connect amp B to "B" on the loop-Master and your C amp to "C" on the loop-Master. 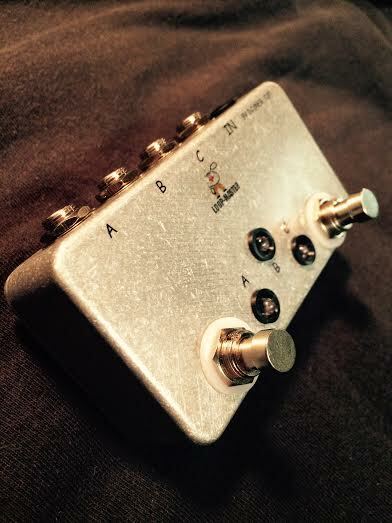 Connect your A and B amps to the "A" and "B" jacks on the loop-Master. 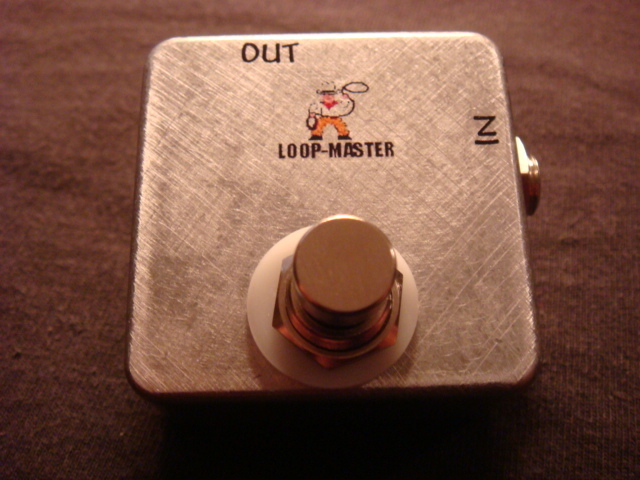 Connect your tuner to "C" on the loop-Master and your guitar to "In" on the loop-Master. You can make any tuner true bypass capABle this way. 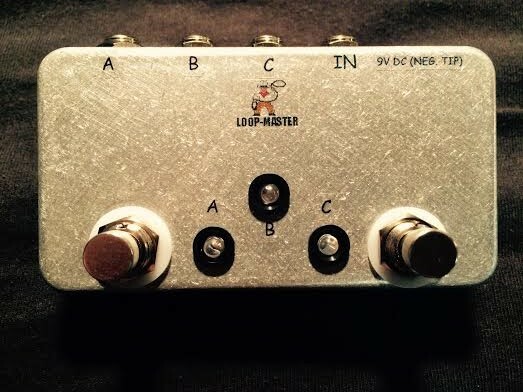 Connect one guitar to "A" on the loop-Master and one to "B" on the loop-Master and and one to "C" on the loop-Master and then connect your amp to "In" on the loop-Master. Unit operates as A or B or C and NOT any two of the three. Stepping on the first switch switches A or B channels as indicated via LEDS for you. When you step on the second switch, (C) one LED (A or B) will still be lit telling you that when you step off of C, you will resume back to that channel. When you step on C, you must click C again to resume back to A or B. Many uses here.